THE IMPOSSIBLE reveals prayer's immediate and powerful impact through the true account of a family whose son died and was miraculously resurrected. Through the years and the struggles, when life seemed more about hurt and loss than hope and mercy, God was positioning the Smiths for something extraordinary - the death and resurrection of their son.When Joyce Smith's 14-year-old son John fell through an icy Missouri lake one winter morning, she and her family had seemingly lost everything. At the hospital, John lay lifeless for more than 60 minutes. They asked themselves, How could God do this to us? But Joyce was not ready to give up on her son. 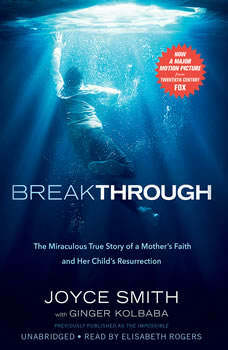 She mustered all her faith and strength and cried out to God in a loud voice to save her son.Immediately, her son's heart miraculously started beating, again.In the coming days, her son would defy every expert, every case history, and every scientific prediction. Sixteen days after falling through the ice and being clinically dead for an hour, John Smith walked out of the hospital under his own power, completely healed. THE IMPOSSIBLE is about a profound truth: prayer really does work. God uses it to remind us that He is always with us, and when we combine it with unshakable faith, nothing is impossible.